Megan Hiatt, shares horrific moments her boyfriend Gawain Wilson, 28, told her to hold their five-month old babies as he killed them. Wilson also shot her father and later himself. Hiatt says that she crawled across the bloody room to hear the dying words of her father, who passed on his love to her twin brother. 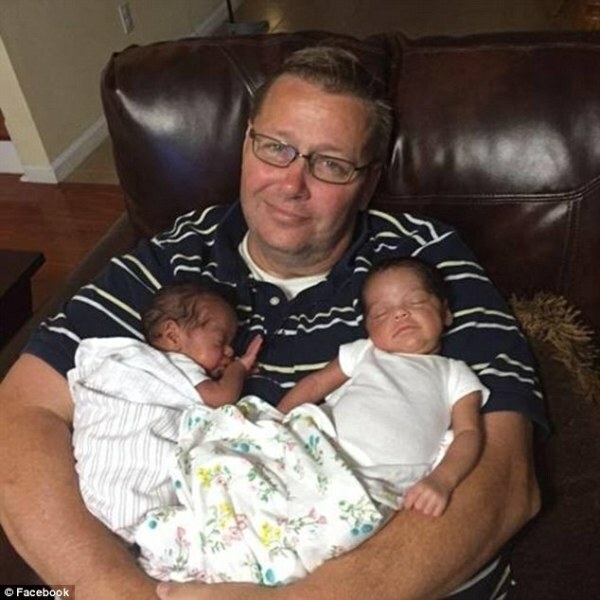 Above, the grandfather holds the babies that the family called Reese and Rose. Megan said the family called the infants ‘Chunky Monkey’ Reese and ‘Little Bit’ Rose, though their names were actually Hayden and Kayden. She told First Coast News that five bullets hit her daughter, but credited God with helping her survive.